You may or may not have heard of the new regulator in the charity sector. The Fundraising Regulator (FR) came into being in July 2016 and is now responsible for the Code of Fundraising Practice. This code sets out the standards expected of fundraising organisations across the UK. The regulator is responsible for keeping the code up to date and also investigating complaints against a charity’s fundraising activities. The FR is a voluntary, independent regulator in England and Wales. Charities with headquarters in Scotland are committed to self-regulation for fundraising and are instead overseen by an Independent Panel which the charity regulator in Scotland oversee. In order to fund the FR, there is a new levy on a number of fundraising organisations along with a registration fee system. Letters from the FR to those organisations subject to the levy started to land in the autumn of 2016 and this may have been a shock to many charities. The levy calculation is based on data from the Annual Returns made to the Charity Commission for the year ended 31 December 2014. If your charity is an exempt charity, a flat rate levy is due to be charged instead. The amount charged is based on bandings determined by the level of spend on generating voluntary income. All charities with a spend over £100,000 per the 2014 Annual Return are being included in the levy and will automatically be sent a letter closely followed by an invoice, requesting payment within 30 days. The amount of the levy ranges from £150 to £15,000 depending on how much was spent on generating voluntary income. 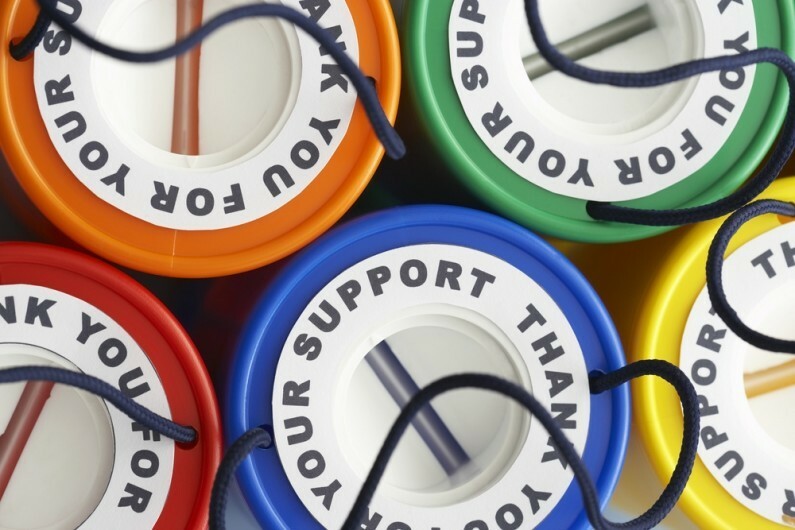 Exempt charities are charged a flat rate of £1,000 per annum. The levy is a fixed rate for three years and will be paid annually. In 2017 and 2018, the invoices are expected in the month of June. The levy is voluntary but it you want to be registered with the FR, you will have to pay it. Registration with the FR will entitle charities to use the FR logo to show donors that they have signed up to the code of practice. This replaces the previous Fundraising Standards Board (FRSB) tick-mark. The charity name will also be published on the FR website and the FR note that this will act as a public sign of commitment to good practice. So, while you do not have to pay it, you do need to consider what message it sends to your donors if you are not registered with the Regulator. The government has reserved powers in the Charities (Protection and Social Investment) Act 2016 to enforce payment of the levy if necessary. What if you haven’t received a letter? If your spend on generating voluntary income was below £100,000 on your 2014 annual return, you will not be subject to the levy and hence will not automatically receive a letter and invoice from the FR. You can however register with the regulator voluntarily. The registration fee is £50. The registration scheme is due to open in the winter of 2016 but you can sign up to receive updates about the work of the FR on their website. What other things are the FR doing? The FR has recently concluded a consultation into launching a Fundraising Preference Service. The scheme is intended to work in a similar way to the mail preference service where people can register to ‘opt out’ of fundraising communications from charities. The proposal is that these ‘opt outs’ could be specific to telephone calls, mail, fundraising communications or all communications. The final arrangements will be published soon and will impact how you communicate with your donors in the future. We will continue to keep you updated on developments in the charity sector and particularly regarding the work of the FR. If you have any specific questions over the Fundraising Levy, registering with the FR or the Fundraising Preference service, please do get in touch with us.